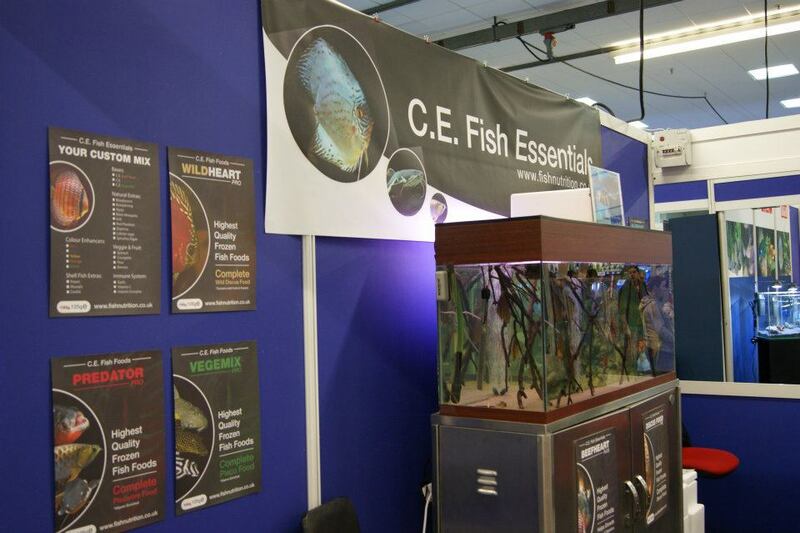 November 2011 saw our attendance at the launch of the first ‘Aquatics Live’ exhibition in London. 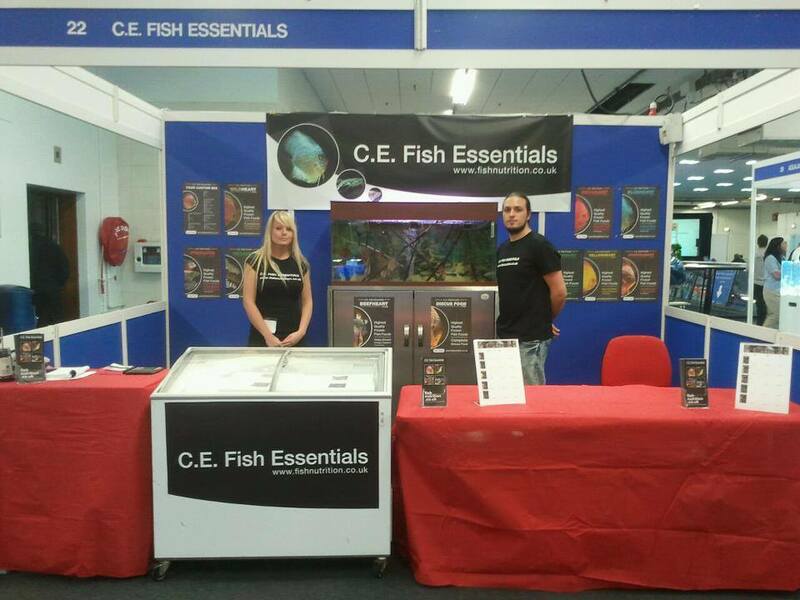 This unique event was held at the famous London Olympia in Kensington and featured wholesalers, retailers, societies and specialists from all over the UK with international guests including aquatic explorer Heiko Bleher who conducted some well attended lectures on biotopes. The team really came together during the set up and made the stand look brilliant. A product-focused and simple decor with our full range in centre focus. 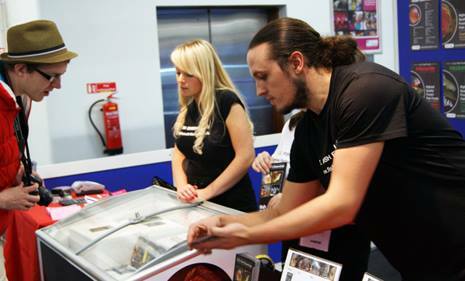 Team members Beverley, Anna, Emma, Joni, Alpha, Alam, Zoe and Chris really brought the stand to life and interacted incredibly well with customers giving some excellent advice (and enjoying many a fishy conversation). This event went ‘swimmingly’ to say the least and encapsulated a family-friendly atmosphere with a variety of stands displaying goods, selling and sharing information with everyone from the newbie fish-keeper to the real experts. The people were almost as diverse as the number of species of aquatic plants, fish and other beautiful creatures present over the weekend and traders were on the ball with warm greetings, new and classic products as well as top customer service. Surrounded by some of the industry’s giants and at our first exhibition we wanted to attract a lot of interest. After weeks of deliberation and preparation, Chris decided to bring some of his most prized fish along, a group of 6 large wild angelfish (4 inch body size without counting fins!) 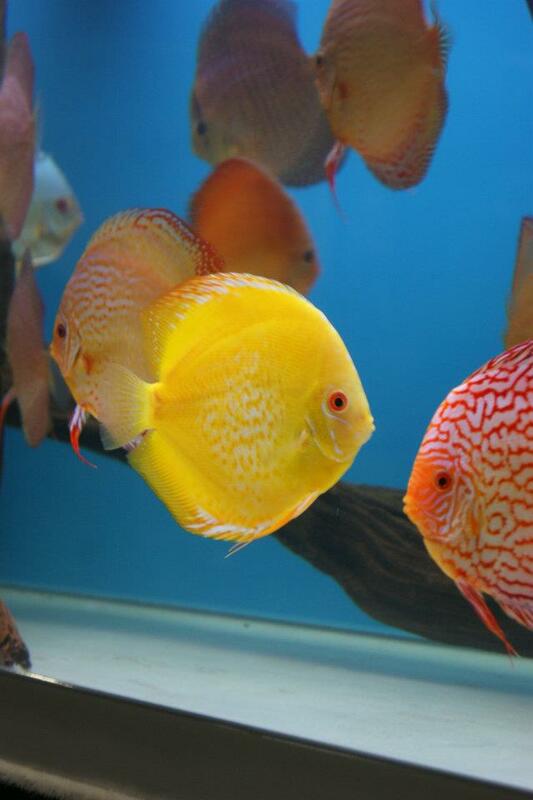 raised by him from a juvenile 1 inch body size and some F1 discus originating from Rio Xingu in Brazil also raised by him from a young age (rarities to say the least). 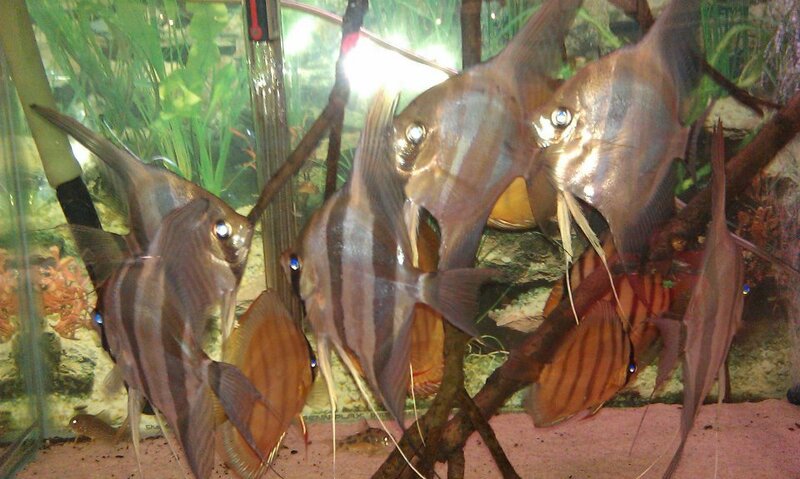 After a carefully planned set up, water preparation and introduction (with some kind assistance from the U.K. Discus Keepers Association’s Mick Minns) the fish were happily settled and did not fail to generate a buzz. Fed exclusively on our products these fish spoke more than words for the hard work and dedication our team continue to put in to research and produce the finest and highest quality frozen foods. After 2 days which flew by too soon, we were humbled at the incredible interest from trade and customers alike, not to mention visits from existing customers eager to say hello and give some super feedback. 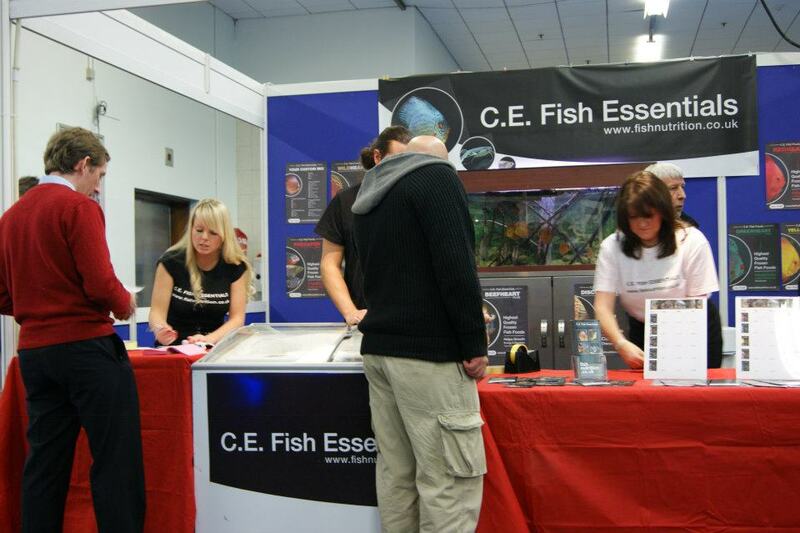 With thousands of keen aquarists attending it was no surprise that we were completely sold out by the end of day 2 and were first to confirm our place for 2012.